WHEN IN DOUBT, CHOOSE THE KIDS. THERE WILL BE PLENTY OF TIM - ProudMummy.com the Web's Community for Mums. 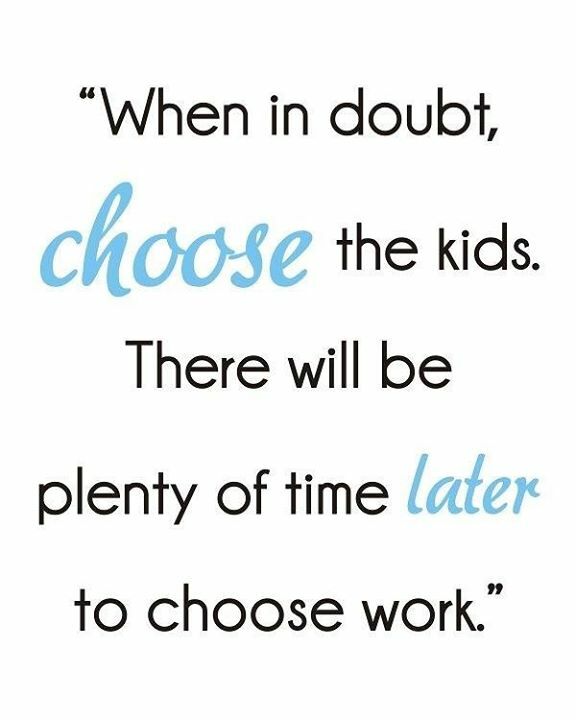 "WHEN IN DOUBT, CHOOSE THE KIDS. THERE WILL BE PLENTY OF TIME LATER TO CHOOSE WORK."